Sleep sacks might just be my favourite safe sleep item ever created. These beautiful pieces of fabric ensure that you do not expose your child to unnecessary sleep hazards and ensure your baby is not waking up because they are too hot or too cold. MAGIC! First off, let’s address what a sleep sack actually is. A sleep sack, also known as a sleep bag, is essentially a very spacious sleeping bag that comes in different shapes, sizes, weights and designs to suit your child’s age and development. 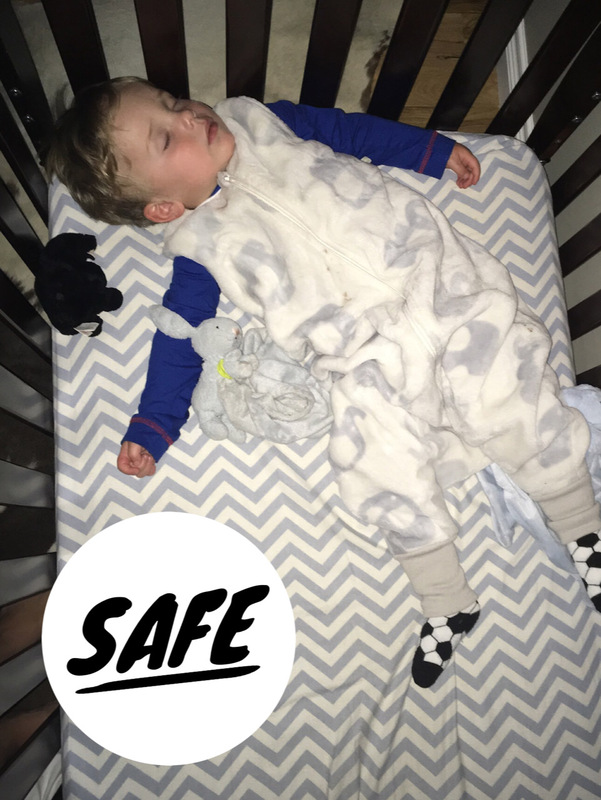 They ensure the right amount of warmth while keeping your child in the comfort of their crib, free of safety risks that come with having blankets. What is Sleep Sack weight or TOG? TOG is the most commonly used measurement for choosing a season-appropriate sleep sack. Essentially, it is the thickness or measurement of the warmth offered to the child wearing it. At different times of the year, you will need different weights to account for the warmer nights or cooler mornings. Sleep sacks offer your child the freedom to stand, sit, roll and even walk in them! They aren’t limiting at all and can provide a great deal of security and comfort to your child. It’s good to make sure they are wearing an appropriate size for their age; they can range from Newborn-5T!! There are many styles of sleep sacks including poppers, zippers, sleeved, non-sleeved and even footed ones! After two babies of my own, hundreds of families, and trying about 8 different brands and styles, my personal recommendation would be to go with a sleep sack that’s sleeveless with zippers. You don’t want your baby to be too warm, so wearing a sleeved onesie and a sleeveless sleep sack will offer just the right amount of warmth and comfort. I prefer zippers because when your child starts to stand, they may stand on the sleep sack as the pull themselves up causing the snaps or poppers on the shoulders to come undone. 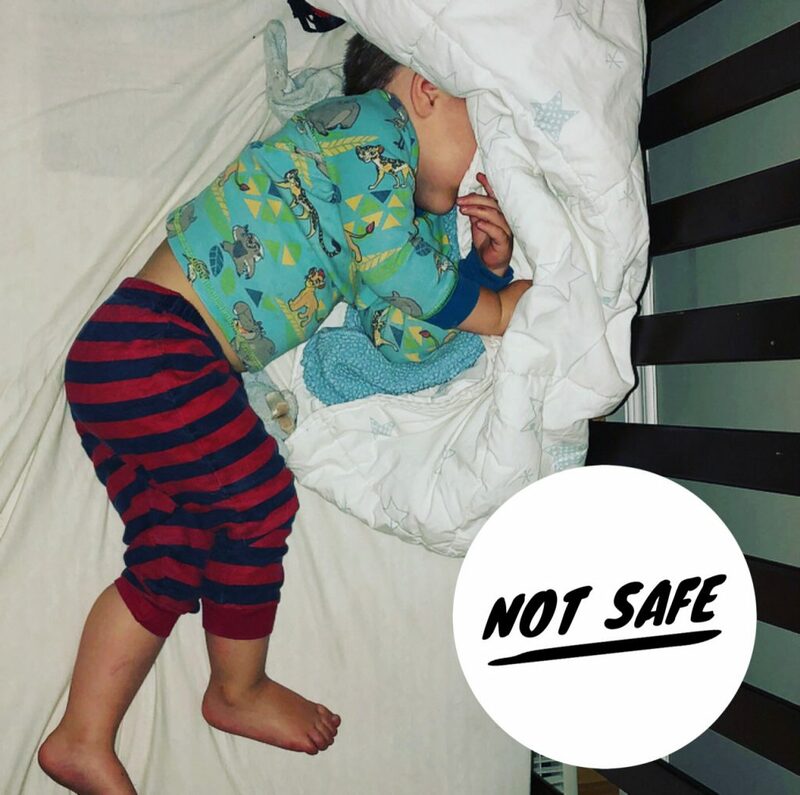 This leaves your child out of their sleep sack and may pose a crib risk. Footed sleep sacks are a favourite of mine with older walkers who are 18-months plus. At this age, they are very mobile, so the extra freedom to flap their feet around can be a comfort. My son LOVES his, and it was a really worthy investment. Check him out! Each brand I have come across offers different fabric options, from polyester and organic cotton to Merino wool! Overall, the fabric is a personal preference. I don’t buy into the “moisture wicking” fabrics because your baby should not be getting sweaty in a sleep sack. If they are, its time to consider if you are using the correct weight, or if you should adjust the clothing your baby is wearing under it. I like softer, snuggly fabrics, but that’s me. I love a good bedtime snuggle with a blanket! There are plenty of great, affordable options out there for sleep sacks. I have bought sleep sacks that were brand-new, on sale, and even from consignment stores (which, by the way, are a goldmine for affordable options). I have seen sleep sacks that range from $12-90, so shop around, check your local shop and swap pages, and keep an eye on out of season or Amazon for deals. You can make a lighter or heavier weighted sleep sack last longer by layering or removing clothing underneath between seasons. Overall, sleep sacks were designed to provide both parent and child safe sleep options. I will be the first to admit that I have used blankets and I cannot tell you how quickly I regretted that choice to disregard safety protocols when I came in to find my daughters face wrapped in one, struggling to get free at 5 months old. At the time, I thought to myself, “It’s only a nap. It’s not that big a deal to let her have a blanket.” When she was much older, the sleep sack once again helped me, when she began climbing out of her crib and wandering the house at 2 years old. I merely went back to a sleep sack, put it on backwards so she could not undo the zipper and we were back to peaceful nights. What if your child ‘hates’ the sleep sack? At some point, if you haven’t already, you may experience some tantrums or protesting the sleep sack. This isn’t your child telling you they hate sleep sacks. For babies learning to sleep, this is their way of saying “Hey mom, dad, I don’t want to do this whole nap thing again today. I want to stay up and hang out with you!” For older children, it’s just a way to test boundaries, like “I wonder if I cried and threw myself around like I did when I wanted that toy earlier if she won’t make me wear this thing”. Funny little humans! As parents, above most things, it is our job to keep them safe. Sometimes that involves having to guide them to do things, like wearing sleep sacks. I mean, if your kid threw a tantrum getting into the car seat, you wouldn’t let them not have to sit in the car seat, right? Here are some brands I really favour, mostly for their affordability, fabrics, patterns and being practical and comfy! Perlimpinpin is my all-time fav, and they have the new footed ones! I purchase them from my local baby stores since they often have sales on them during the off-season. Aden and Anais have the most beautiful patterns and widest variety of fabric options including organic. These were my sleep sack of choice before my babies became walkers. Kyte is great, I love the zipper design on them, and they have the most snuggly fabric and a great range of sizes. The only downside is that I don’t see this brand carried in too many places so this might be an order-online purchase. I hope you found this helpful and if you need any more assistance or guidance, feel free to join me at my Strong Beginnings Facebook page to ask questions or keep up with the latest updates.